This article can serve as a reference point to prepare for an interview at Delta Air Lines. We’ll review some basic information about Delta as a whole and then we’ll list top Delta interview questions to become familiar with before you apply for an interview. We’ll provide you with a possible answer for each of the Delta interview questions listed. Finally, we’ll cover some general Delta interview tips. Delta Air Lines was founded in 1924 as a small crop dusting company. Today, it’s a major global airline based in Atlanta, Georgia and operates over 5,400 flights a day. Delta services 54 countries with over 320 destinations. Working at Delta, the majority of your benefits will begin to kick in after a few years of service. That being said, the pay is competitive and you will receive free flights and buddy passes. 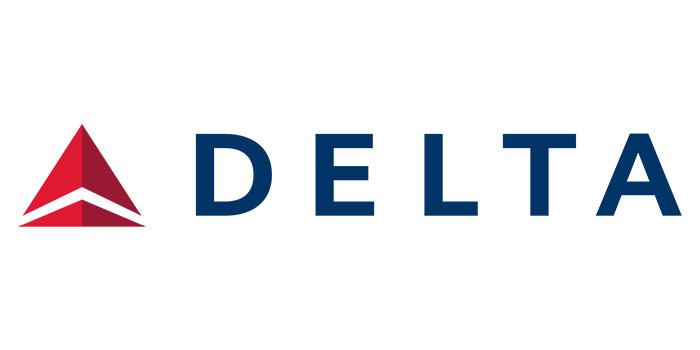 After several years of working with Delta, you have access to full-time hours with the whole benefits package, including a company-matched 401k. Here are some of the Delta interview questions you should practice to increase your chances of getting hired. The answer suggestions provided can be easily modified to suit your own opinions and experiences – use them as a base to form your own answers. Try practicing the questions out loud with a friend or even alone. Even if you don’t have someone to practice with, practicing verbally will help you feel more confident during your Delta interview. Note: After taking the online job assessment, you will eventually be asked to complete a one-way video interview. You’ll have to complete this step before having an opportunity to speak with someone face-to-face. During the video interview, you will be shown a question and given 30 seconds to prepare your answer. Then, you’ll have two minutes to record your answer and move onto the next question. A3: “One shift supervisor I had recently liked to cut corners at closing time. She was impatient with us and often encouraged us to leave small cleaning tasks for the next day. We are supposed to open the store each day with a clean slate. As the closing tasks aren’t complicated, there was no reason to leave them for later. A1: “I would try to diffuse the situation without causing a disturbance. Sometimes, when people get caught up in disagreements, they forget that there are onlookers. When you arrive for your face-to-face Delta interview, you’ll feel rushed if you don’t arrive at least 30 minutes early. On top of that, it will make you look more prepared and serious about the opportunity. Be sure that you arrive looking clean cut and polished. You should look like a Delta flight attendant before arriving. Answer your Delta interview questions by using the STAR (Situation, Task, Action, Result) method. Do some research and practice your answers with the method in mind. Most Delta interview questions are behavioral-based or situation-based. Therefore, this method lends itself well to answering such questions. Our collection of Starbucks interview questions. We hope this article has made you feel more prepared for your Delta interview. You can use Delta’s Glassdoor profile to get information about what it’s like to work for Delta. Also, research the company using their official Delta website to gain a deeper knowledge of the origins, objectives, and standards of Delta. Do you have more information about getting hired at Delta? Comment below and let us know! We’re interested in hearing about additional tips you have for applicants as well as any Delta interview questions you’ve been asked.